Colorado is home to some of the best cycling destinations in the country. From challenging mountain biking trails to scenic byways to family friendly bike paths, the entire state is a haven for cyclists at all levels. Bicycle Rental Exposure - What happens if a customer falls and sustains a bodily injury? Bicycle Assembly Exposure - What happens if one of the bikes your shop has assembled is faulty or becomes damaged? Bicycle Repair Exposure - What happens if there is a problem with a repair that your shop has completed for a customer? 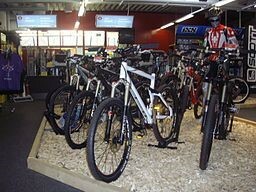 What insurance do I need for my bicycle rental or repair shop? Business Personal Property - This type of insurance will cover your inventory, as well as the other contents of your building (like furniture and on-site equipment). Commercial General Liability - To protect your premise and operations, as well as rental equipment exposure. Many bicycle rental business owners overlook the need for rental ops exposure insurance. It’s important to make this a part of your coverage plan, and to determine what percent of sales are covered under your plan. What other insurance protection should I consider? Umbrella coverage is liability insurance that protects you against major claims and lawsuits by providing additional coverage beyond the limits of your Underlying Policies. With this type of insurance, you can protect your business and your assets in the event that your rental or repair shop gets a major claim. Umbrella insurance isn’t mandatory, but it’s certainly worth considering. If you’re the owner of a bicycle rental or repair business in or near Grand Junction, or are thinking of opening up a new shop in the area, DC Insurers Montrose can help you get the insurance protection you need. Contact us or call us today at 970-901-0062 for a free quote and more information.